Okay, I first have to comment on the fact that the sun has been shining for two days in a row! You guys!!! I've missed the sunshine so much, and welcome it back with opened arms! 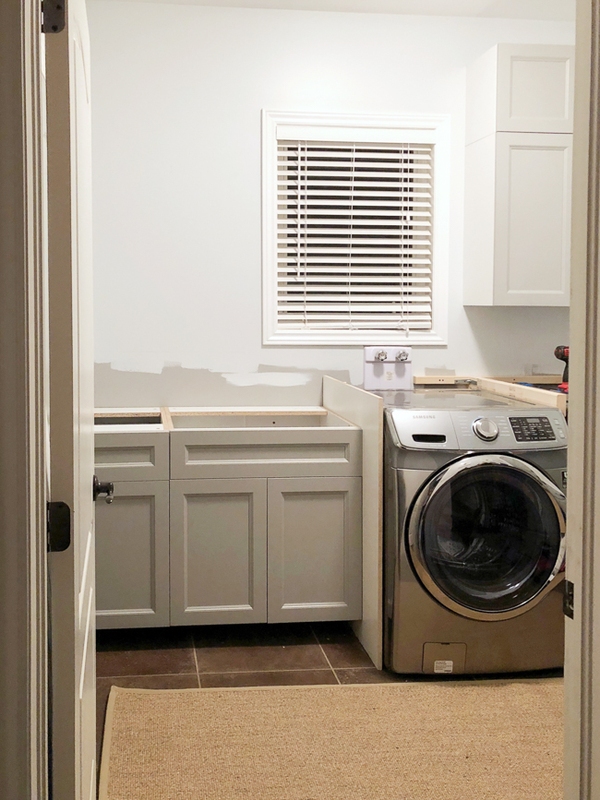 We made quite a bit of progress in the laundry room over the past few weeks, thanks to my husband and father in law! My thumb is still far from being 100% so they were kind enough to tackle the to do list. And that was pretty much it! lol! I've already taken down the artwork and will be replacing it with something different. The walls have been painted in Tinsmith on the upper portion and Bakery Box on the lower portion (both from Behr paint, available at Home Depot). I colour matched the cabinetry and decided to use that paint on the door to the garage, the closest doors and the door into the house. 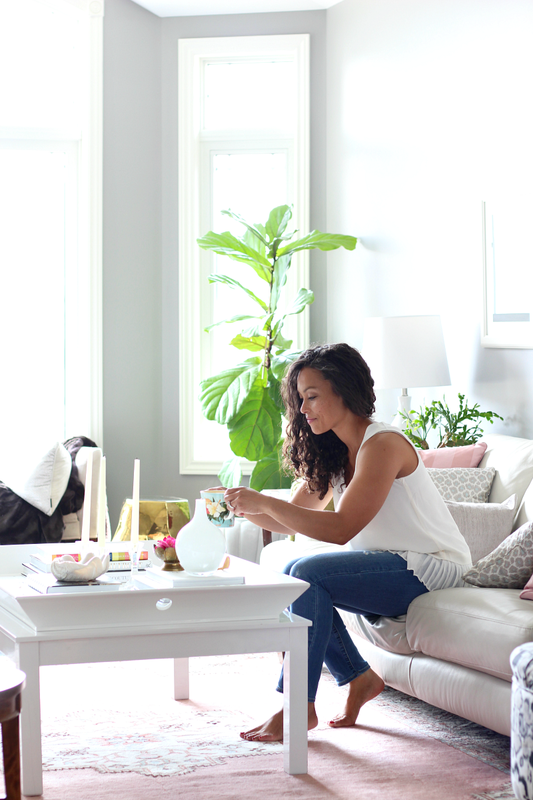 For the other details: I'm beyond thrilled to be able to incorporate some stunning Blanco products into this space. 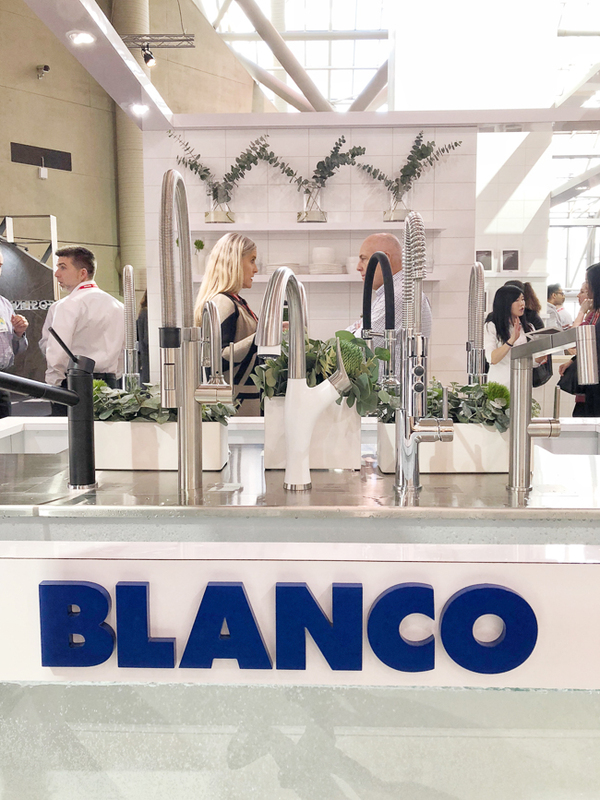 Blanco is known for their gorgeous products and their quality of craftsmanship. I've chosen to go with the Artona faucet, in white (pictured below). To be honest, I was pretty indecisive at first, because I also loved the look and features of the Urbena faucet. Ultimately I decided that the Artona would be perfect for this room. A few features I love about this faucet are the pull down spout, the colour options and it's beautiful curved silhouette. 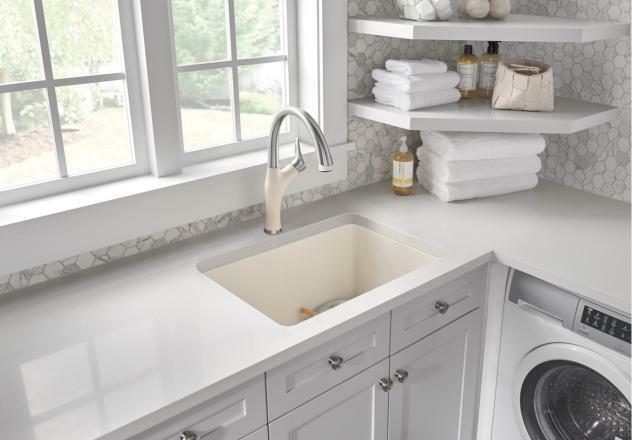 I'll be pairing the faucet with Blanco's recently released Liven laundry sink (seen below, with the Artona faucet, both in biscuit finish). Oh my goodness you guys, this sink! I'm so thankful to have the opportunity to include such a beautiful piece into this space. The Liven sink has been designed to stand up to everyday wear and tear and also comes in a variety of colours. 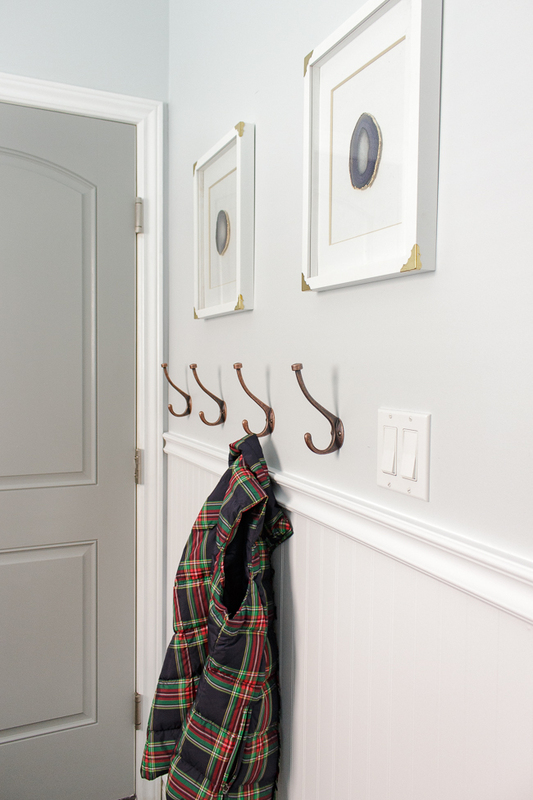 You can choose an undermounted or drop-in installation. I've chosen to go with white, to coordinate with the faucet. In case you missed my previous laundry room post, here is a photo of the cabinets, paint colours and also the counter tops. 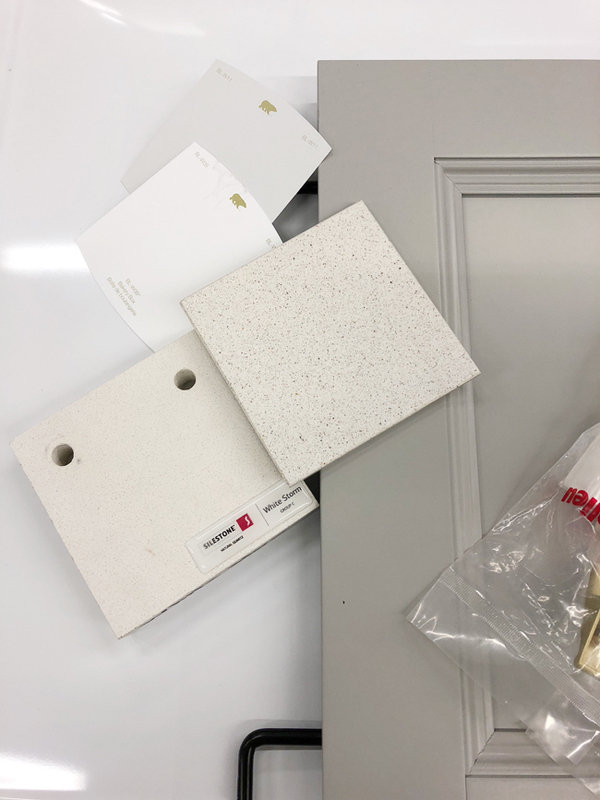 I've selected a durable Silestone quartz counter top (ordered through Home Depot) in a beautiful white finish, White Storm to be exact (far left). The room is on the small side, my hope is that the white counters will help make the room feel that much more spacious and brighter as they will reflect the light. I've since painted the side of the uppers to match the door fronts as well as the melamine panel (which we cut to size) beside the washing machine (we made sure that we could open the base cabinet door beside the panel prior to installing). I also ironed on a piece of veneer edging onto the front of the melamine (took no time at all!). We now have to add the crown moulding to the upper cabinets, toe kicks to the base cabinets and install the floating shelves. The counter tops are to be measured within the next week and should be installed in 3-4 weeks (the faucet and sink will installed at that time as well). We are so so close to being finished this project and we couldn't be anymore thankful or excited! This is the first time that we've ever had cabinetry in our laundry room, it's such a treat I tell you! The room is already more organized than before, which is just amazing! 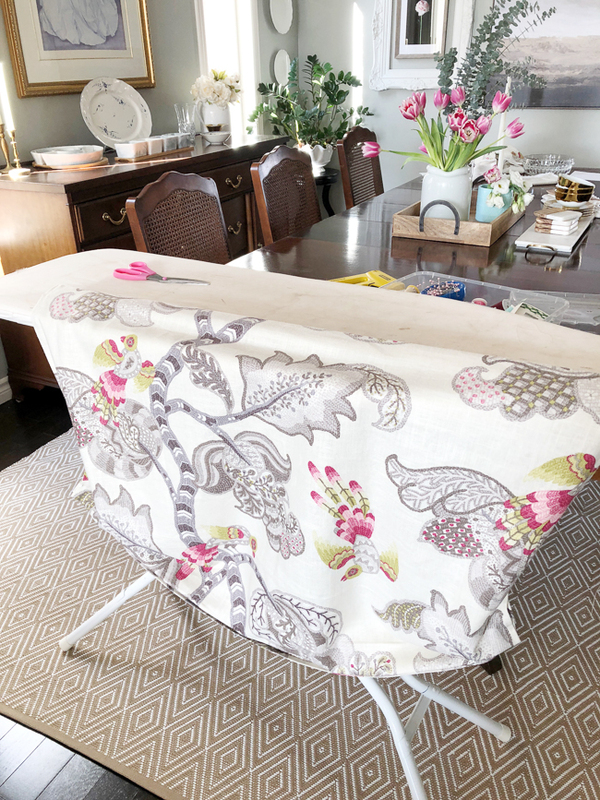 Check back soon as I'll be sharing the full reveal including before and afters!